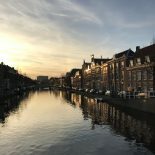 Being a student in the Netherlands, bicycle riding is something you’re definitely going to do. Even for those who come here not knowing how to ride a bike, I’ve seen them ended up on two wheels after a month, a week, some even just a day. But for us international students, do we really know HOW to ride a bike in this country? I’m not talking about riding with both hands in the pockets or texting on the phone. I’m talking about the rules. 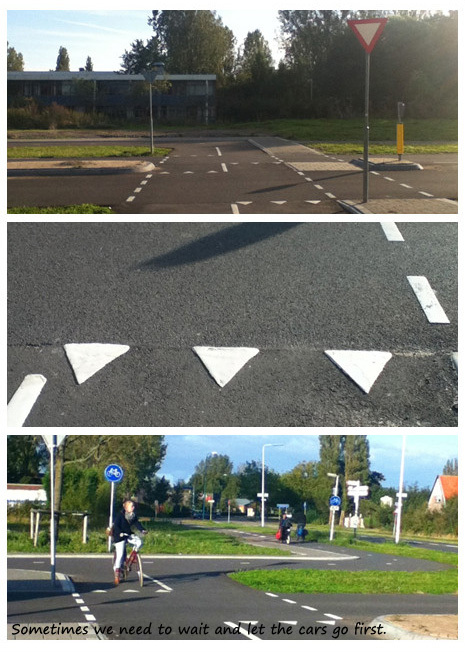 We’re from different countries and cultures with somewhat different traffic rules. Based on my personal experience, I would like to share with you something I think it’s important to know while biking on the road. One, always try to drive on the right. 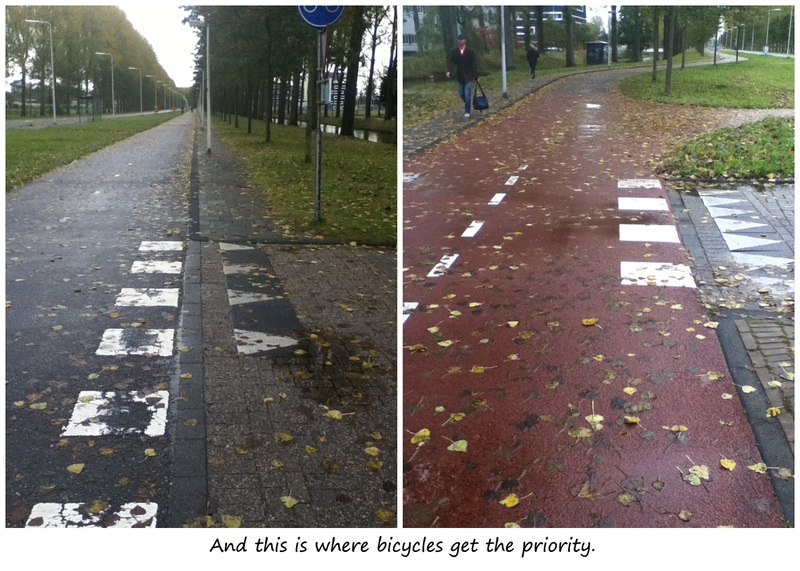 Usually the bicycle track has “division line” in the middle, but sometimes when there are bicycle tracks on both side of the road and there’s no “division line”, then it most likely only allows one direction driving. So make sure you’re on the right side. And I think it is considered polite to ride a bit to the side when you’re not going fast, so that people who are in a rush can easily ride past you on the narrow road. Two, practice riding with one hand sometimes so that when the time comes, you can point your arm to the direction you’re turning to. I very much recommend doing so especially on busy roads. It would be so helpful not only for your own but also for other people’s safety. Three, watch out the “shark teeth”. Haven’t you ever doubt about who gets the priority when it comes to crossroads? Well, the answer is on the ground! If you pay attention you will see many “shark teeth” triangle shapes on the road. They are the signs indicating who has the priority to go first. Simply speaking, which side has the “shark teeth”, which side needs to wait. Four, do not drive in the “walking area”. I myself once almost got a ticket for riding in the walking area because I simply didn’t recognise the blue sign at the beginning of the road. So always pay attention, there are quite many signs like this, especially in the city center. And with these things in mind, I think we should be able to stay out of trouble on the road. If you know some other related things that you think are “must-know”, please share with us! Oh there is one more thing, since winter is coming and days are becoming shorter and shorter, don’t forget the lights on your bike! 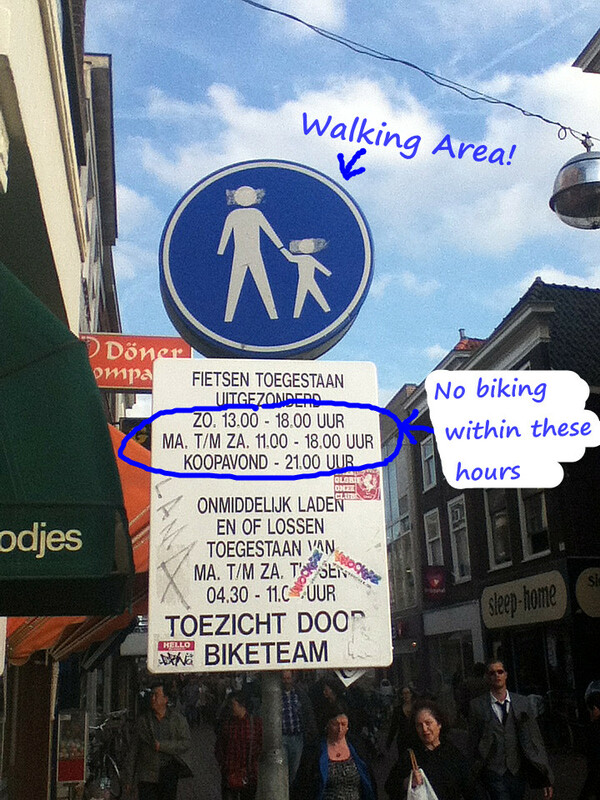 This entry was posted on October 26, 2012 by admin@theleidener in Grace, Living in Holland, Uncategorized.